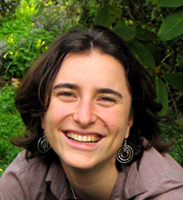 Annie Shattuck is a PhD candidate in Geography at the University of California at Berkeley. She was a policy analyst at Food First from 2008 to 2010. She is co-author of the book Food Rebellions! Crisis and the Hunger for Justice with Eric Holt-Giménez and Raj Patel, which examines the root causes of the global food crisis and grassroots solutions to hunger springing up around the world. She has written on biodiversity in agriculture, the effects of the biofuels boom on land rights, the 2007-2008 food crisis, food policy councils, and food movements in the U.S. Her work has appeared in The Nation, the Huffington Post, Foreign Policy in Focus and the academic press.